Deeply influenced by the Venetian rule, Zante acquired a special and unique style. 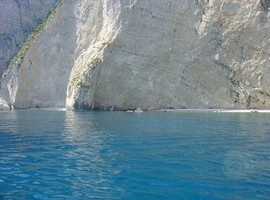 Place of Letters and Arts, Zante was influenced by all major European countries, assimilating them into a unique cultural mix. 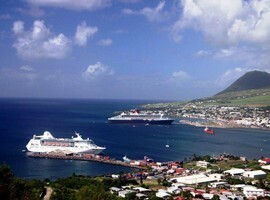 The island has a remarkable tourist development and infrastructure without huge hotel complexes. There is a very touristy town of Laganas, with many restaurants, bars and clubs, which for obvious reasons can be crowded and loud, then there are quieter places on the island like Agrassi, that are suitable for families. 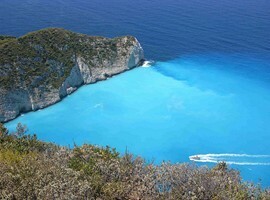 Zante is an island with rich vegetation and in spring it is full of flowers and colors. In summer the island is full of grapes, perhaps for this reason the ancient protector of the island was the god of wine, Dionysus. 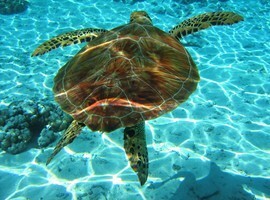 In Zante there is the Marine Park which was built to protect the sea turtle Caretta Caretta. 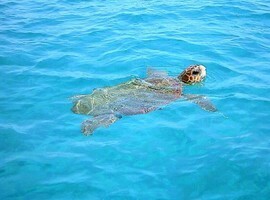 This type of turtle that lives in Greek waters is threatened by extinction and that is why the park was created, so that the turtles can lay their eggs there undisturbed. 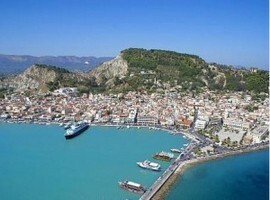 In the town there is a museum dedicated to Dionysios Solomos, and a museum of Byzantine art. In the church of St. Denis is there is a relic of the patron saint of the island. 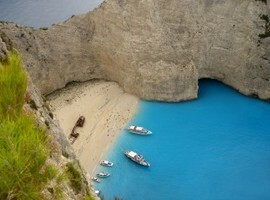 Also worth visiting is a Venetian castle on Bochali Mountain outside the town of Zante. 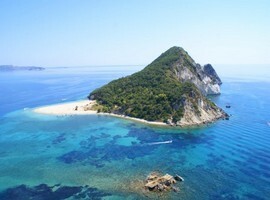 You can go on excursions to visit the beaches of the National Marine Park of Zante where the Caretta Caretta turtles lay their eggs during the night in June. If you’re lucky, you can also see a rare seal species, Monachus monachus, which also belongs to protected species. 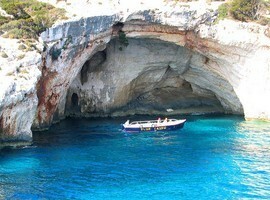 By boat from Agios Nikolaos, you can visit the famous Blue Caves on the north side of the island. 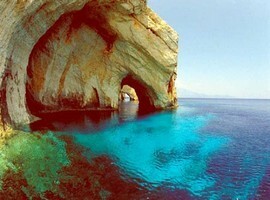 The blue caves are among the most famous attractions of Zante because of the beautiful color of the water. 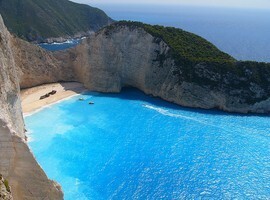 The largest of the caves is the cyan one. 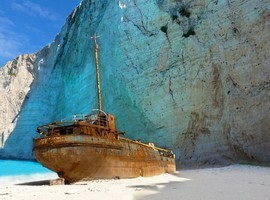 Another popular attraction is the wreck on the beach of the Bay of smugglers. 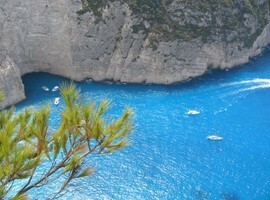 It is also worth to see the white cliffs of Keri, reminiscent of the white cliffs of Dover, England. 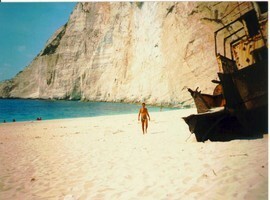 In addition to visits to the marine park, the shipwreck and blue caves there is plenty to do on the island. Many beaches offer water sports. 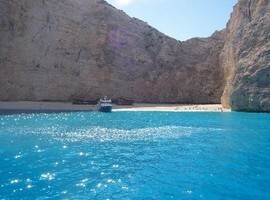 Porto Zoro is a great place for swimming and diving off the rocks at the edge of the beach. 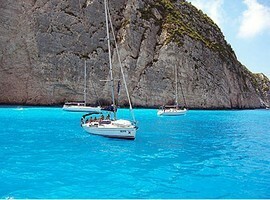 There are also excursions to Kefalonia, and some travel agencies offer. 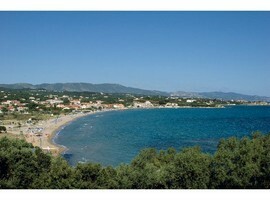 In the bustling town of Laganas is a 9 km long beach. Laganas is filled with crowds of tourists (mainly English) during the high season and has numerous bars and clubs and pubs. Argassi is a little quieter, but also has several bars and clubs. In Zante town there are a few bars, but generally it is not so busy. 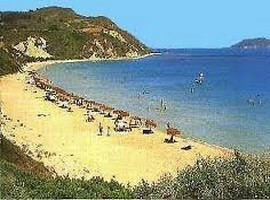 The beaches of Alykes and Argassi are popular and many people gather there. The Royal Peninsula beaches are suitable for children. All you have to do if you want a secluded beach is to try to find a beautiful beach by yourself, but make sure it does not have signs or fences there about the turtles. Another beautiful beach is Keri Lake. 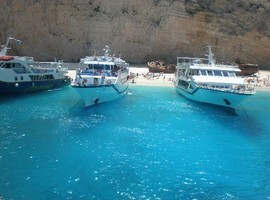 There are local buses to go all around the island, and taxis and also car and bike rentals. The boats only go to some of the beaches.